When you think prehistoric Woolly Mammoths, what's the first place that comes to mind? Chances are it's not San Diego. But the truth is that these giant beasts once called Southern California home. 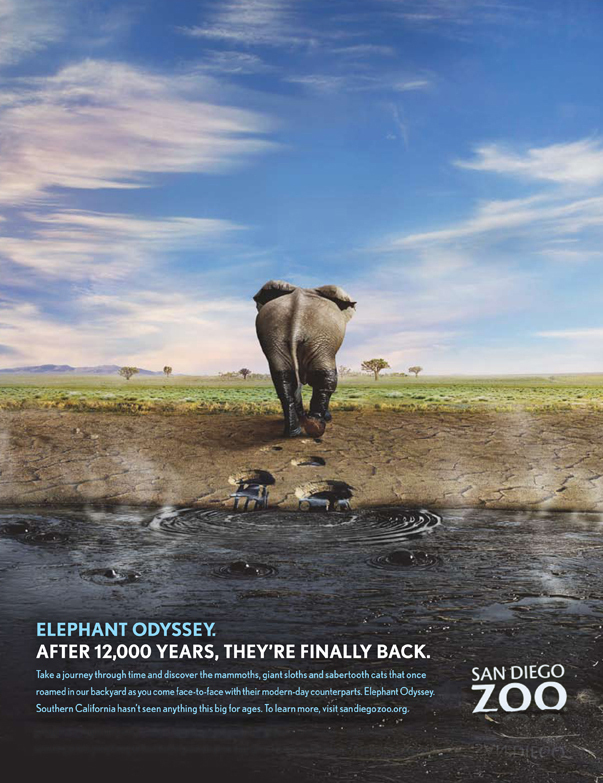 When the world-famous San Diego Zoo created a brand new elephant habitat that paid homage to this historic fact, we had some fun imagining the elephants' journey from then to now.